3-Pin Fan to 4-Pin Fan Power Adapter Cable. 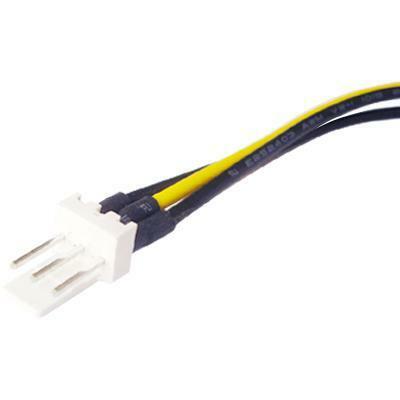 This power adapter cable converts a 3-pin fan connector to standard 4-pin power connector. It is perfect for use with CPU and case fans. 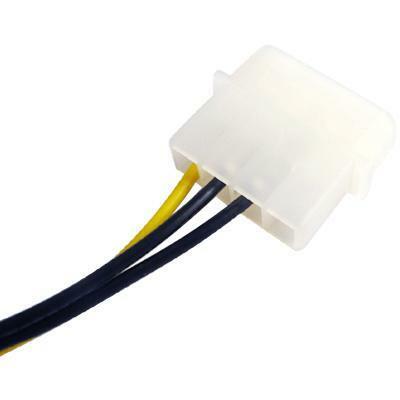 Power / Power Internal 3-pin (M) TO Power Internal 4-pin (M) connector(s).